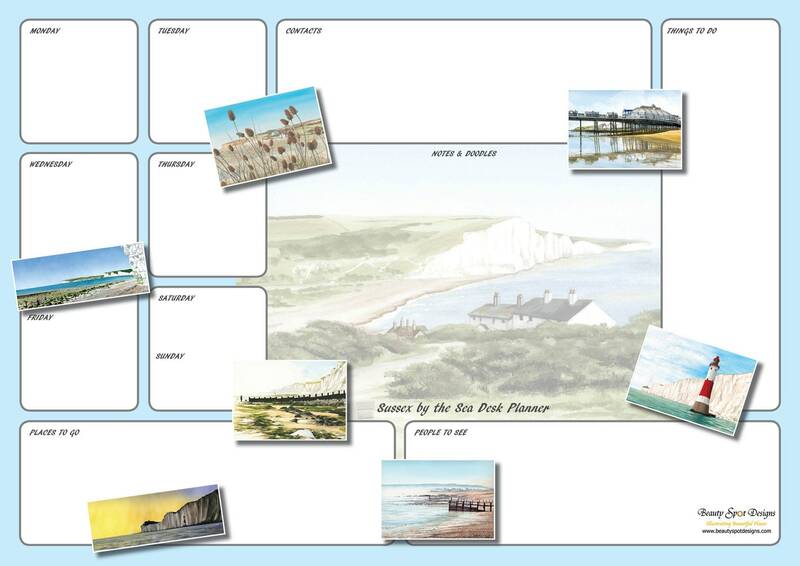 An A3 notepad specially designed with spaces for planning your week, noting contacts, reminders for things to do, places to go, people to see. 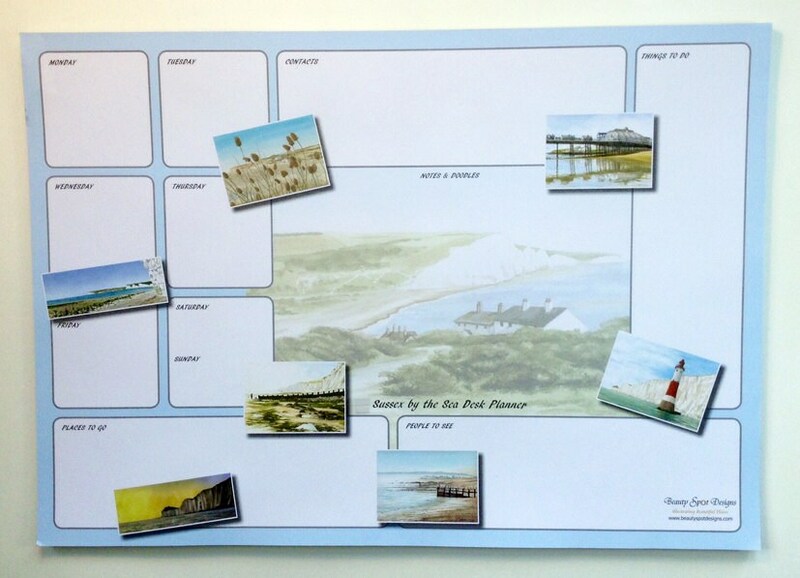 Enhanced with eight illustrations of the Sussex coast to remind you of your weekend/holiday ahead. A great addition to any work or home desk. A3 page, cardboard back, 50 sheets. Comes wrapped in cello bag.